2014’s Top 5 Best New Handguns. I had intended to write this list before the Worst list… But had too much fun with the Worsts. Here’s my favorites from all the handguns released in 2014. #1. 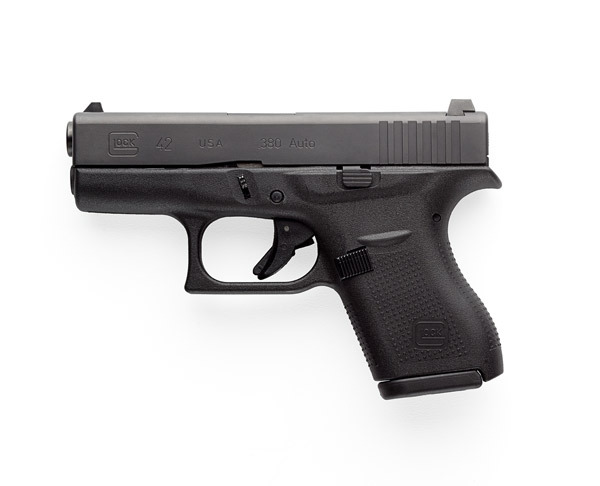 The Glock 42. Despite being a .380 Auto, a subcompact .380 is just what some folks wanted, and has resurrected general interest pocket .380’s after the surge crested about 4 years ago. Concealed Carry remains a top reason for new gun purchases, and according to GunBroker.com the Glock 42 is #4 for Semi Auto pistol sales. Yes, this pistol was on my Worst list because of the disappointment factor. But for those wanting a .380 Auto pocket pistol the G42 has been the Go-To option for most people. It offers good sights and a good trigger in a compact package. Other options that offer this are the SIG 238, the Kimber Micro, and Colt Mustang… and all of them costing as much as 200 dollars more. #2 Ruger’s GP100 Match Champion. This classic revolver has the features that I want on a general purpose carry revolver. Big visible front sight, fixed rear that isn’t just part of the frame, good grips, target crown, and a good trigger. I was mulling over the idea of getting another revolver… and the Match Champion is the one that pushed that desire over the edge as it’s everything I wanted to do with a GP100. The half lug is a give or take sort of feature, but I find it visually appealing on this gun. 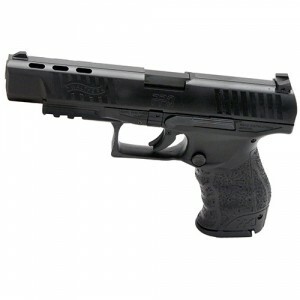 #3 Walther PPQ 5″. This gun was probably the most interesting new pistol I handled at 2014 SHOT. It’s simply a long slide version of the PPQ, which already had a ton of great attributes. Now, you get a good sight radius and barrel length to go with that great trigger the Walther has. Walther is Germany’s 3rd great Gun Maker… behind HK and SIG (You guys can argue which is first and second) and it’s been the one with the most ups and downs. 10 years ago I said that Walther was struggling to maintain its significance. In 2014 it has certainly found it. This is one of the very best handguns on the market. Period. #4 The HK VP9. This is the pistol that HK needed to build years ago. 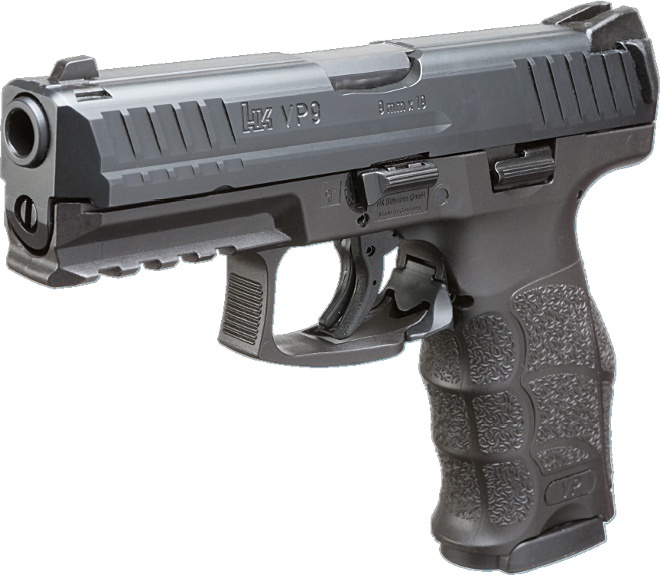 Not because it’s just a Striker version of the P30… but because it’s priced where HK pistols should be priced. It’s about 200 bucks less then others, and that’s were they should have all been. It also has something rather new to HK since the P7… a damn good trigger. Not just a good trigger for HK, but it’s just a damn good trigger. Not as good as Walther’s PPQ trigger – but then again nothing is. But this trigger in an HK pistol was unexpected. Really, I think this makes it the best pistol HK has ever made. 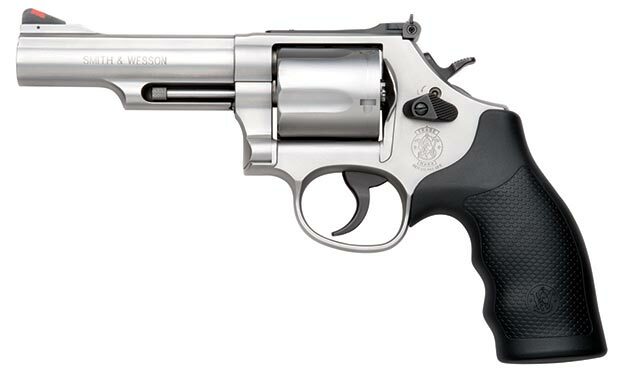 #5 S&W Model 69 Combat Magnum. What makes this model 69 so sweet, other than the innuendo of the name, is that this .44 magnum is built on the smaller and lighter L frame instead of Smith’s normal N frame from .44 mags. The L Frame is Smith’s frame for the delicious 686 series of revolvers. So now you have that, but with full .44 Mag power. That is just a fantastic balance of size and weight and power. I had a 3″ 696 in .44 Special and loved it. But it was incomplete due to the lack of horsepower. When you say “.44” you are not looking for a mild and pleasant plinker… you are wanting a ferocious monster slayer. Here you go. There are a couple Honorable Mentions: Springfield’s XDS 4.0, Ruger LCRX, Ruger LC9S. Previous PostBest Politician in 2014Next PostThe End of 2014. Have to agree on the GP100 Match Champion. I’ve been lusting after that one ever since Ruger introduced it. In a bit of nostalgia, take a look at the shape of the grips on it: they are nearly identical to the Trooper stocks that the late revolver aficionado Bill Jordan championed. …and I just picked up one today as a late Christmas present. It’s a nice pistol to be sure. How do you like it compared to the P30? The reset is noticeably shorter and the trigger is crisp, other than that it feels exactly the same. For 599.00 for a brand new H&K I couldn’t go wrong, IMO THE best deal out there. How can the GLOCK 42 be #1 on both the Best and Worst lists? Did you not read? Seriously, because I spent like a whole 7 minutes explaining that… it’s the words right under the pictures.